Friday evening ride to Comfest with Christina! Left work with Morgen and Andy. Rode over to High and Broad and met with Jay and Dylan. Headed west toward COSI and stopped at the cool scale on Washington (see pics). Then we headed out Front and then got over to Sullivant. Brian, Christine and their friend caught up to us and we headed to the Los Guachos Taco Truck. We did make a stop at Camp Chase cemetery because nobody on the ride had ever stopped (except myself). Food was awesome! Then we rode to Los Potosinos for chicken and ice cream. After some more great food we headed back into town with Lindsey and Mike. Thanks everybody for riding. It was a great evening. The factory responded to my email and directed me to to the US Distributor. The distributor is sending replacement rails for the saddle. The rails unbolt from the saddle. EcoBike is a world-renowned designer of quality electric bicycles, sold all over Europe and North America. I wasn't going to ride but I made it anyway.... I rode down High to Williams over to Three Creeks and headed up the trail. Headed up Long and wound over to the start. At that point I had 22 miles. We rode south and then west into Franklinton. At Dodge Park we had a particularly difficult flat and a lot of people bailed. Greg and I rode south on Harmon and then up to the bar. 29 miles total. Great weather. Columbus Underground and Taco Trucks Columbus are planning a Taco Truck meetup at Los Guachos Taco Truck off of Sullivant. I was planning on riding my orange cruiser bike so I can't go too fast. Ridge Runner Highlight - "Mayor of Fredonia"
This guy lives on the corner of the split for the 52 and 100 mile route. We turned the corner and he came out of his house with his frying pan and laid into us. If anyone can translate that would be great. 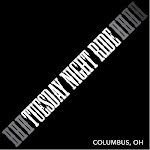 The Athens AM Rotary Club’s annual Quilt Barn Ride and Poker Run will raise funds for the Club’s charity work and for Pelotonia, a grassroots bike tour based in Columbus, Ohio with one goal: to end cancer. The Quilt Barn Ride begins at 8 a.m., July 18th, 2009 and starts at the Athens County Convention and Visitor’s Bureau, 667 East State St., Athens, Ohio. Poker Run prizes will be announced at 1:00 p.m.
A special route has been designed to provide cyclists with a scenic ride through Athens, County, with stops at five local Quilt Barns. The route will consist of a 30- mile loop, with an additional 20 miles of optional road available for the more experienced riders who want more of a challenge. The Athens County Quilt Barns include paintings of traditional quilt patterns on local barns. The Quilt Barns were created from an Appalachian Ohio art project, with funding from the Ohio Arts Council. This project planted the seeds for what has become a national art movement. Prize Class riders have the opportunity to win a variety of active lifestyle-based prizes including the Grand Prize: the opportunity to ride with Lance Armstrong, seven-time Tour De France winner and cancer survivor, in the 100-mile-long Pelotonia Tour to Athens, Ohio on Saturday August 29. The value of this prize is $1,500, all of which will go toward cancer research at The Ohio State University Comprehensive Cancer Center-James Center Hospital and Solove Research Institute. Please visit the Registration page for more information. Fun Class riders get to ride the route at a discounted fee, the same fee riders have paid in the past. Group Class riders get a Prize Class discount for registering a team of 4 riders — buy three, get one free! Purchased several years ago. Used for two winter seasons. I was at Easton yesterday dropping off posters and save the date cards for Bike the C-Bus. Roll is a sponsor this year. Outside a bike caught my eye. The VanMoof 28 has built-in solar powered LED lights front and rear that are activated with a small magnet.